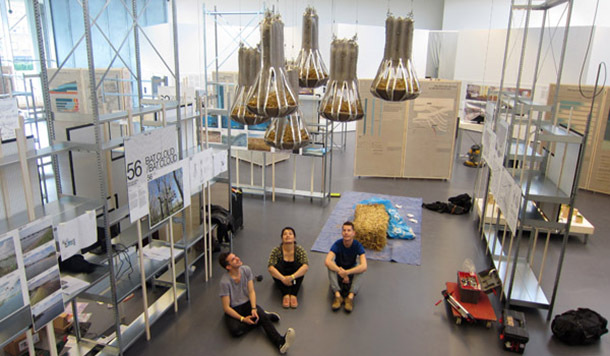 Recently, we were able to catch up with Joyce Hwang, the 2012 Animal Architecture award winner and recently selected for an Emerging Voices Award from the architectural league of New York. We were lucky enough to get a few minutes of her time to discuss the impact of her recent award, her thoughts on the future of bio-inclusive design practices and how she got started on this design journey in the first place. Animal Architecture: Thanks for your time Joyce. Firstly congratulations on your recent award and also the article in Architecture Magazine. As a previous guest on Animal Architecture though, is there anything that you’d like to talk about that hasn’t already been said in a previous interview? Or let’s start with this first: Were you surprised by the recent Emerging Voices Award? Joyce Hwang: I was completely shocked. This is an award that you’re nominated for. So, first, I was shocked that I was asked to submit my work to the Architectural League, and then when I found out that I was short listed and I was even more shocked. I have always felt that what I do is seen to be a bit on the fringe though. But obviously I don’t think this should be a fringe interest. If you think about how animals, flora and fauna take-over, re-colonize in cities that are unmaintained, you can actually see their presence as a kind of default condition. It seems strange that one should ignore it. But I recognize that my work is perceived as a fringe interest. So, my surprise with the Emerging Voices award is that my perception is that the award given to architects who have already accomplished a lot and are mid career; And, well I still feel like I’m just starting. JH: I think the organizers made that very clear when I spoke with them that the idea of the award is to recognize an innovative practice, and innovative ‘voice.’ I feel that I’m at a stage where I’m still grappling with figuring out how to do the projects that I’m interested in doing. So I suppose in a real sense I am definitely still emerging. AnArch: Well, congratulations again. Personally, I see no surprise here. So, how do you think that this will change the awareness of your work? Do think this indicates that your work is no longer seen as fringe? as on the outside? JH: I suppose so. I think it’s still too early to tell. The exposure of the award and exposure in Architect Magazine has been very helpful in getting the word out and I’ve been getting a lot of emails from different interested people but I don’t know if the projects that I’m trying to do are seen yet as mainstream and easily digestible. It’s still too early to tell. AnArch: But obviously this is a step in the right direction. Would you agree with that? Do you think that a greater more public awareness of your work ins desirable? JH: I think it’s a step in the right direction. I think the notion of including multiple species in our design considerations should be at the core of our practice, so it’s the step in the right direction, but at the same time the process of raising awareness happens incrementally and the first few steps have already been happening. Some of the work that has been going on in Buffalo, for example, Bat Tower and Bat Cloud certainly are beginning to pique curiosity. Also, of course, the Hive City competition has made an impact in raising awareness and interest in Buffalo, and let me clarify, Hive City is not my own project but was co-coordinated with other faculty members from the School of Architecture and Planning, and the winning installation was designed and built by a group of 5 graduate students. There’s a growing awareness around the country with people like Fritz Haeg, and yourself, who are trying to propose an awareness of animals — this all adds to the mix. AnArch: Yes, excellent. If you don’t mind, I’m going to change the topic for a minute. As I’m listening to you speak about this here I’m thinking … I’m not sure I’ve heard you tell the story of how you became interested in designing for multiple species. How did animals enter into your consciousness as a designer? JH: I don’t think there’s a single specific, story. In Southern California, where I grew up, there’s a chronic issue in our house, as well as in many other houses in Orange County – that if you leave any bit of food out on the kitchen counter or accidentally drop food on the floor – that we would be invaded by ants. And it is a fact of life that we have to deal with. Moving later to the East Coast, it struck me as odd that this wasn’t so common there. And for me, it was a very clear instance where I realized that there was a connection between what we were building and other living species. More formatively however, I took a course with Catherine Ingraham on architecture and biology in graduate school at Princeton. She gave us a reading by Giorgio Agamben, on biopolitics. That got me thinking about the ideas of inclusion and exclusion, in a biological sense, and that was a very interesting course for me. Roughly a year later I began my thesis work on zoos. AnArch: What aspect of zoos in particular? JH: I was designing a zoo that was also a genetics lab, a zoological laboratory. I was interested in several aspects, one was the idea of the animal as a spectacle. We as a society put animals outside of ourselves as an “other” and they become a form of spectacle. At the same time there’s an interest in conservation to keep certain species alive. Spectacle and conservation — are not necessarily conflicting interests, but they don’t necessarily go hand in hand either. At the same time I was becoming more interested in the increasing science of engineering species and the increasingly problematic boundary between the “natural” and “artificial” worlds such as with hybrid goat/spider that was in the news in the early 2000’s. Those types of conditions were really curious to me. AnArch: After the zoo project, what was the next animal focused project for you? JH: The next time that I became interested in animals was after graduate school, when I was teaching at Temple University. At that time, I was doing competitions, and still trying to find ways to refine my thoughts from my thesis work. Shortly thereafter I moved to Buffalo and I became really blown away by the urban wildlife there. Buffalo, you may not know, is situated on a major bird migration route and you see this constantly changing bird population. My husband, who is from Madrid, Spain, even became an enthusiastic bird watcher at one point. There are also bats, raccoons, deer, and many other animals in the area. It was in Buffalo that I became more interested in urban wildlife. And at that time I decided to make a prototype for a bat house. I entered an early scheme in a bat house competition which I actually didn’t win. But I continued to work and develop the project and finally ended up with a NYSCA grant and that was how Bat Tower was born. AnArch: Fantastic. I love a good genesis story and I’m sure our readers will as well. But, changing gears here for a minute. I want to ask about you oeuvre. Where does your work situate itself with respect to the past and the future? What would be your projection of the future? Does your work have implications for the future of humans and for cities? JH: With respect to the past, I don’t think there is anything particularly anti-species about ancient cities. I don’t think that other species were necessarily included, but I don’t think they were specifically excluded either, or at least not to the extent that they are today. When you look at current trends in building construction the trend is definitely towards exclusion — how buildings are enclosed and glazed, and how animals are excluded from buildings. This is not to say that birds and bats should be living inside buildings but that trying to keep them off or away from buildings is a large part, and disturbing part of our building vocabulary now. And I forgot to mention one other thing. This is another part of my, as you call it, genesis story. When I was first working in an office in San Francisco I was asked to look at a catalog for a company to specify bird spikes for a building. I called the sales rep. and he told me about all these other products that they had that, if you don’t want spikes you can get thin tracks or wires that gives birds electric shocks! You know the pantheon didn’t have bird spikes. It wasn’t so exclusive. So my current thinking is about how we should rethink our current modes of maintenance and cleanliness in modern buildings. Maybe it’s more along the lines of trying to rethink how we can resist our sense of horror towards animals and their traces. AnArch: If along with your award you were given a wish — anything that you wanted what would it be – either for yourself or the profession? Ideally what would you have as the outcome from your recent award? What would you have happen next? JH: If I had to make a wish about the state of our profession I would probably be much more broad about it. I wouldn’t necessarily be honing in on species in particular. In fact I think the work that I’m doing about species is really about looking at species as representative of a population that is excluded from design considerations. One of my broader interests is in redefining what we mean by “inclusive design.” I’m not interested in inclusive design in the traditional sense. Often the discourse in that line of research tends to gravitate towards metrics and performance and use, whereas I think my big hope is to find a way to rethink the practice of architecture that enables us to work with people or species who might not necessarily have the means to commission a project. So I’m less interested, I suppose, in the specific metrics of architecture’s “usability,” although that is important of course, and more about how we can enable access to thoughtful, good design. 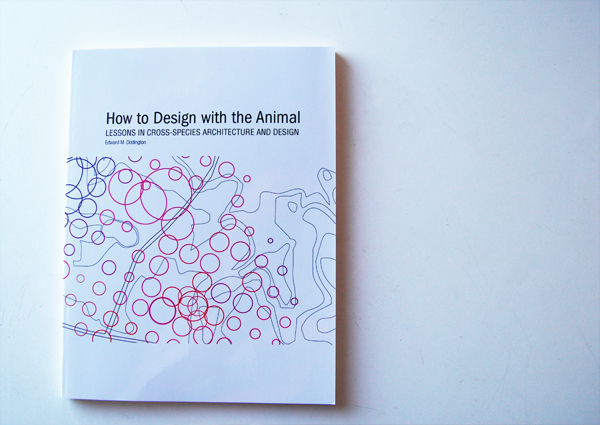 This touches on my work with the “Beyond Patronage” symposium and a book that I’m working on now – together with two co-editors – where we are trying to rethink how the practice of architecture, as a whole, might move beyond the current paradigm of patronage and clients with money etc… Of course when thinking of animals, they are obviously representative of a population that doesn’t have a voice or access to any of this per se. So I suppose my wish would be to enable practice models that include, or allow access to design services from under-represented populations. And maybe “under-represented populations” isn’t even the right term. There are many organizations that have an interest in raising awareness in that area. I’m more interested in finding potential projects that reconsider spaces and situations that might not necessarily be seen as opportunities for design. I think there are many places that are deserving of and beg for design consideration that are thrown by the wayside. So my interest would be in finding a way to explore architectural relationships with those kinds of areas and populations as well. AnArch: I’m picking up on an underlying theme here that there’s a belief that design can be used as a tool for good and tool for changing social inequality. In a way, that if other agencies, political, economical, social that are failing that maybe there’s a possibility that these larger areas of inequality can be attacked with design. JH: I think my interests are not quite in the social justice camp though. There are lost opportunities everywhere. There needs to be a mechanism for architects to engage in those lost opportunities in a productive way. It’s not just for social justice reasons but also for ecological purposes as well. AnArch: My last question is, and you’ve just touched on this is: Do you see you work as part of a sustainability, eco-sensitive conversation? Or otherwise, how do you see you work in relationship to sustainability? I think the sustainability link is probably the easiest thread to understand. I definitely see my work within a discourse about sustainability. These days if you say the word “sustainability” to any architect, they’ll typically think of solar panels or some form of technology — some form of energy efficient technology. Our preoccupations, as architects and designers, always seems to gravitate towards the performance of building components or systems, specifically in terms of the conservation of energy, water, or materials. The whole idea of how we consider “other” species in our built world has yet to enter a more mainstream line of thinking and discourse. Really, when I think about where and how we consider non-human animals in our built and designed enviornment, I see a lot of regulations and regulatory structures about the presence of animals. They are often reduced, in this context, to lists of animals. For example, in the New York State Department of Environmental Conservation website, there are lists of “nuisance species” that you are allowed to kill without a permit. So, some urban animals are considered in the realm of urban regulation, and they are tagged as “nuisances.” But what if you think about these species in terms of urban sustainability? In that sense, they are not adequately addressed by cities today. Obviously I think, and we would all agree, that fauna is as much a part of our ecological system as anything else: plants, water etc… Things are starting to get better, though. In some cities and regions, there are considerations of animals a form of eco-systems services, and we see this in some larger urban design schemes. But, again, how one addresses the presence of animals is not is not fully fleshed-out. There is a gap there within the logics of sustainability that I am interested in exploring. AnArch: Thank you Joyce. Thank you for your time and your work and I look forward to seeing more projects and exciting developments in the near future. All the best.